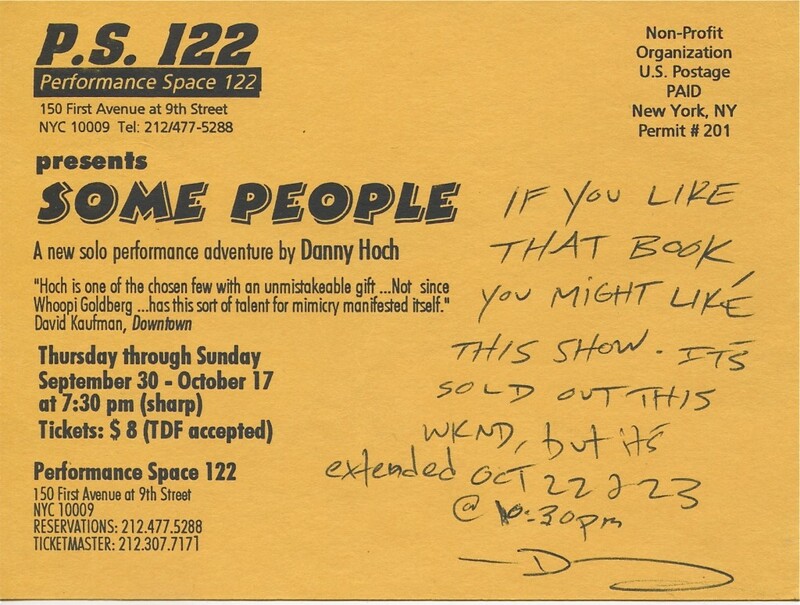 I turned the page and there tucked away was a postcard for SOME PEOPLE – Danny Hoch’s solo performance which premiered at PS 122 (a hub for contemporary performance) in 1993. It was a Manhattan bound L train and we were crossing the East River – this was long before everyone was wired – a time before smartphones and people were scoping each other out and occasionally making eye contact. The Living Theatre will close. 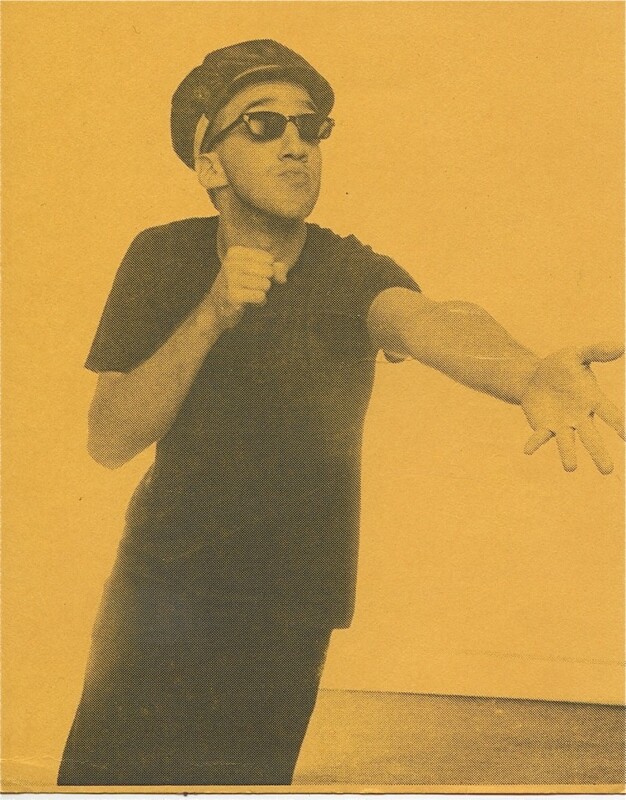 … so many ghosts in our gentrifying town – but two decades after that subway ride – Danny Hoch (American writer, director and performance artist ) is still here. Do you know of a story trail? Is there a neighbor, who heard from a shop keeper, who was told by the bartender a story of a wolf, or a bird, or a river? How can you let a little piece of today’s news take you down a trail, back into another time and place? What stories do you recall? Huzzah – dust them off and crack open a long forgotten book – you might encounter a little treasure or an old friend along the way. 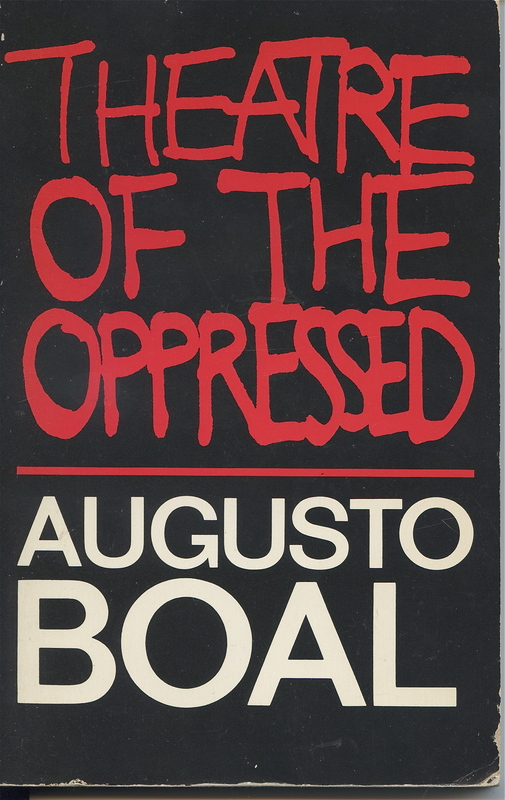 This entry was posted in Essential Dish, Uncategorized and tagged Augusto Boal, Brooklyn, Connecting The Dots, Danny Hoch, gentrification, Judith Malina, NYC Off The REcord, story trail, The Living Theater, Theatre of The Oppressed, Williamsburg. Bookmark the permalink.